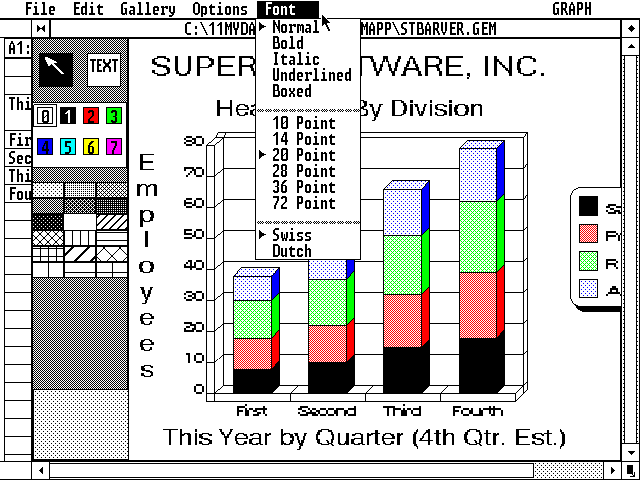 The changes in GEM 2.0 were largely the result of a lawsuit by Apple Computer. 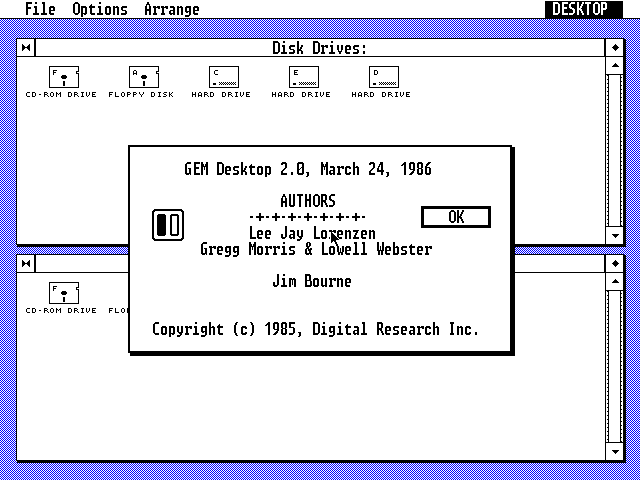 GEM 2.0 displaying its Desktop Info dialog. 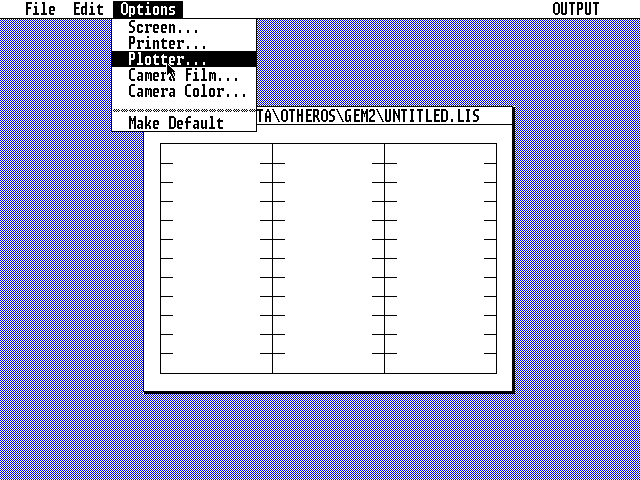 This version of GEM supports 640*480 16 color VGA. The most noticeable change to GEM is the pair of file windows that are now permanently open on the desktop. Digital Research made this change because of the lawsuit with Apple. They had to cripple their desktop to prevent it from looking or working like the Mac. There are no longer icons on the desktop, the file windows can not be resized, new file windows can not be opened, and the "Desktop" menu is now on the right. Both file windows can browse independently of each other. To return to a previous folder, one clicks on the folder's system box. 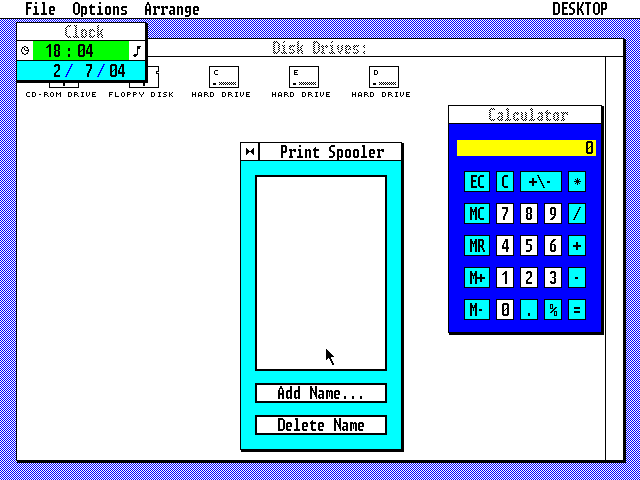 The calculator and clock are the same, however the Print Spooler accessory is new. This version of GEM adds camera film and color options. This is GEM Graph, an example of another application running under GEM 2.0.